My two year old daughter loves this CD, and so do I. It holds her attention just as well as TV does, and what a great alternative! 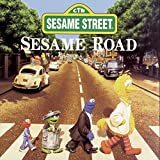 Some of the songs (Sesame Street Theme, Big Bird's Alphabet Song, Rubber Duckie) sound like the same recordings that I remember from 25+ years ago when I was growing up with Sesame Street. Others (Put Down the Duckie, Elmo's Song) are more recent. All are great! This CD was a lifesaver for us. My infant son hated his carseat rides until we got this CD. He especially likes the first song and "Elmo's Song." We've been listening to it for months, and had to buy two CD's so we would have on in the car and one in the house. Mommy and Daddy like "Elmo's Song," but we also like the old favorites from when we watched Sesame Street as children. Ernie's "Rubber Ducky" song is a real classic! This is a fantastic CD. My son is 18 months old, and just loves it. It's all the old favorites that I remember myself as a child. And, I think it's the original recordings too because the character voices are the ones from years ago, not today. We just got back from Sesame Place, and they play all these same songs in the background around the park. My son loved it, especially because he recognized the songs from his CD. It's also nice and long, so it keeps him happy for awhile whether at home or in the car. I find myself singing "put down the ducky", "rubber ducky" "being green" under my breath at work or at home- and I myself giggle. My husband and I recently drove to South Carolina from CT and this cd put loads of smiles on my sons face. If he gets finisky we pop it in and in an instant- he's listening and laughing. How could anyone not love Sesame Street. 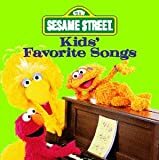 This is a no-brainer... it's Sesame Street songs... every kid loves 'em. Nothing bad to say at all... your kids like Big Bird? Get 'em this CD. Having purchased the first Platinum CD a couple of years ago, I decided to go for it with Platinum Too. I saw some of the songs on it and was so amazingly excited, particularly "Somebody Come and Play," "Take A Breath," and "Mah Na Mah Na." Unfortunately, the versions of these songs I know and love are not the ones which appear on this CD. I will admit to finding this more than a little disconcerting, but, after a couple listens-through, I didn't mind so much. On the whole, it's a good mixture of Sesame Street old and new...but I still think the first one is better. Mr. Whipple's store is the one with the Charmin. I think you mean HOOPER'S Store. "The Ballad of Casey MacPhee"
This is a wonderful companion piece to PLATINUM and is a great album to own and play for kids. Kids? Who said this was for kids? 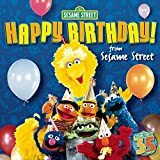 We all know a few Sesame Street songs and chances are they appear on this collection which features 31 cast originals and 32 celebrity appearances. 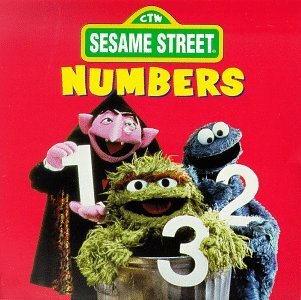 If you've been watching Sesame Street, you can probaly add those up to a grand total of 63 songs! Of the 31 cast originals, all but one track (HENSON KING OF EIGHT) has been previously released on LP or CD. It would have been nice to have more never-before-released tracks. That said, it's great to have some of the tracks appearing on CD for the first time. As for the 32 celebrity appearances, 25 of them have never been released before. So this is definately the set for you if you're a fan of the celebrity versions. Inside the 10.5" cardboard case, the 3 Cds are presennted in cardboard slip covers and a 68 page booklet is included. The booklet is really impressive as it not only has credits and lyrics for every song, but also offers a brief timeline of the series from it's debut through the present day, as well as extensive liner notes. I was really miffed that the original broadcast version of LADYBUG'S PICNIC wasn't used. 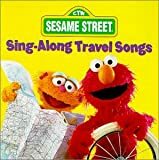 In order to make this THE definitive Sesame Street collection I believe the broadcast version of all songs should have been used. That said, the remix version of the PINBALL NUMBER COUNT and SESAME STREET THEME are terrific! For the casual Sesame Street fan this set is terrific. 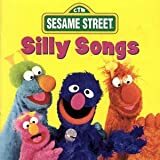 For the Sesame Street fan who has a few CD's but never owned or knows what an LP is, this set will offer you a few things you've never heard before like the Lena Horne and Grover classic HOW DO YOU DO. But if you want original broadcast versions of the songs and don't care for the celebrity intrepretations, then this is not the set for you. This set gets close to being definitive, but misses the mark by not including original broadcast versions and focusing a bit too heavily on the celebrity appearances. This was a great CD set. I bought it as soon as I heard about it on "The Playground" a 3 houg children's music show on Emerson Colege Radio 88.9 in Boston. (Weekend nights from 5-8.) It was great to hear Mr. Hooper on "I've Got Two" without the static of my old Record. I love Children's music and I still have all my old Sesame Street Records. I wish the would release the old records on CD. There are so many out of print Sesame Street Songs that should be brought back. Remember Susan's "Someday Little Children(will Be Living On The Moon)". This is great with all the famious stars on this box set. 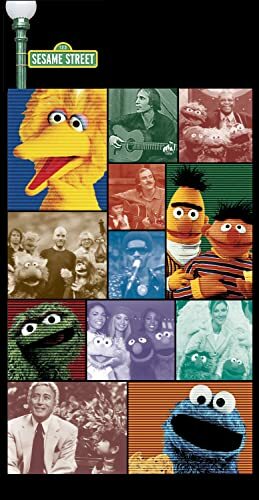 They should of included included more songs with Mr. Hooper. I miss him on the show. They did not include my favorite sesame street song "We All Sing With The Same Voice". ("We All Sing with the same voice, The Same song, The same voice"). All in all Great set for anyone who wants to hear their sesame street favorites again. Fell in love so fast...haven't gotten to all of the discs! Our whole family fell in love with the first disc we popped in that we still haven't made it through all of them! But I can't wait until we do. For now, we listen to Oscar the Grouch and Johnny Cash singing "Nasty Dan" all the time in the car and around bath time. I think by now I can recite all of the lyrics. What a great way to share music with your child! Anxiously awaiting this box set, I was thoroughly disappointed when I found there were so, so many songs left out. There are so many songs from "today's Sesame" - what happened to the songs of Sesame from years ago? I was expecting to see more of the classic, unavailable songs from my record collection, but sadly, they can't be found on this box set. Disc 3 is a disappointment - who wants to hear another Aerosmith song???!! Not me. Give me the Ernie & Bert Rhyming song and you would have made my day. Sorry, I have to give it 2 stars. Most of these songs are available on all their other CDs. Shame on you Sesame Street! This box set is just as lame as Season 35. Let's go back to the Street! Like millions of children before and after me, I grew up with Sesame Street. I even credit the show for teaching me how to read at the young age of 5. So, it was only natural that Songs from the Street would attract my attention. Still, because of its price, I hesitated... after a few months, I finally decided to buy it and am I ever glad I did!!! Everyone who's ever watched Sesame Street will find at least a few personal favorites... And make some discoveries along the way! 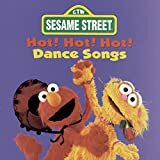 For instance, Stevie Wonder's 1-2-3 Sesame Street (previously unreleased on album) is a great funky number that could have been used as a theme song for the show. It's THAT good. The sound is pretty good, you can even hear some details that you weren't supposed to hear. For example, on Sweet-A Little Baby, sung by guest star Pete Seegers and the kids, you can hear faint shushing to cue the kids from singing along when the chorus is over. There is only thing, though: Why wasn't Matt Robinson credited as Gordon? 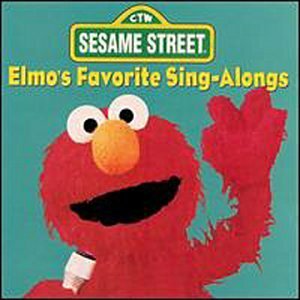 He does appear on at least one song (I've got two -- from 1970's Sesame Street 1 album, featuring the original cast). It would have been nice to see the original Gordon credited alongside the best-known Gordon, Roscoe Orman. In any case, this is a great box set. I just hope that Sesame Workshop will release a DVD with the best early years' sketches (don't you want to see Mr. Hooper again?). My 3 year old requests to listen to this CD over and over again! It is fantastic since I know the words to all the songs too. I love singing and dancing around the house with my son to this CD. It is much better than laying around the house and watching another movie. What was even better was listening to this CD on our last road trip. I never heard a peep out of him except his singing! It is a MUST HAVE!! A Must for All Ages!!! My 3 month old loves to listen to all types of music. I am a working mother, so when I pick him up at daycare, I have chores that need to be done when I get home. I put this CD in, and it keeps my son happy and occupied while he listens to Elmo and his friends. I play this CD over and over again! It is fantastic since most of the songs are ones I grew up with, and I know the words, so he can hear my voice singing along. I love dancing and singing with my son, and I even catch my husband singing along. It is A MUST HAVE for ALL Ages!! This is a great rendition of kids songs. My 2 1/2 year old wants to listen to it over and over. He even suggested we sing and play Ring Around the Rosie at gym class. And when Elmo yells that he needs a life preserver or the Count won't stop counting, I can't stop laughing. And I'm a grown up, honest. My 3 year old and his friends sing and dance like crazy! I bought this for my son, and he immediately found a few songs that he asked me to play over and over. I skip over the Cookie Monster Disco song (dated) and other songs that seem to be on EVERY Sesame Street CD. But all in all, this is an excellent one. There were a lot of songs I hadn't heard done by the SS characters, and everyone in my family has a different favorite! I loaned it to my daycare provider, and the kids there range in age from 1 to 6 and they were ALL singing and dancing. A great cd for the kids! My daughter, the Sesame Street fanatic at 21 months old, got this cd for Christmas last month. Since then, it hasn't left the cd player. She runs to it every chance she gets and says "song" while pointing at it. The songs on this cd are really cute: the characters sing some songs you know (like "Hot, hot hot!") and a lot of other songs that I recognized from watching the show. 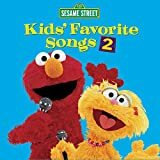 I'd have to say my daughter's favorites are tracks 2 and 10, one of which is "Happy tappin' with Elmo" her favorite character. If you have kids, you really need this cd...it will keep them hopping and dancing for a long time and as a bonus, you won't mind listening to it either. I purchased this album for my young son and he loved it, nearly as much as my husbund! If we are in the car the first thing both of them want to listen to is Cookie Monster's "Me lost Me Cookie At The Disco", which I have to agree, is a fantastic song. It is this interaction that makes the whole album a must. I bought this album because I was looking for something upbeat and different for my son. I had bad luck it the past with children's CD's boring both him and me. The first time I played it my 11 month old started to laugh and giggle. Next thing I know I caught my husband trying to disco to I lost my cookie at the disco. I recommend this CD to all my friends with young kids. This is just too cute!!! Our daughter loves Elmo...she holds the CD case while listening to The Best of Elmo!!! Sings, dances to the songs!!! This is a must have!!! My 20 month old wants to listen to this album exclusively. If we put on other CDs or tapes, even other Sesame Street music with other voices singing, she says "Elmo. Elmo. Elmo" until that wonderful, high-pitched voice comes through the speaker. It really is quite funny to hear Elmo singing everything. I've heard this CD a few hundred too many times. We need a new Elmo compilation. A definite favorite of our daughter's and her Elmo-loving friends. Great for traveling in the car and at bedtime! 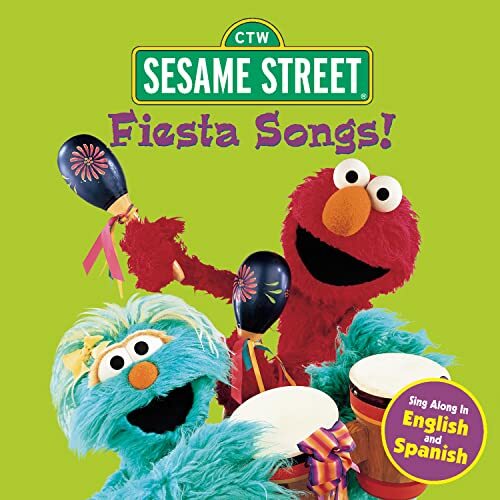 I bought this cd for my 22 month old daughter because she watches Elmo on tv and gets very excited when she sees him. This is by far the best money I have spent on her! I first played this cd in the car, while on my way to a doctors appointment with her. While I was stressed out because of traffic, she was in her car seat dancing, moving and singing to the music! I also play this cd for her at bedtime and naptime and it is the perfect thing for her to listen to as she winds down from a busy day! I plan on buying the entire Sesame Street/Elmo collection for her! My son , now 3, has listened to this album over and over, and it doesn't lose it's charm. And he has shown no signs at all of tiring of it--he wore the first tape out and we had to get a new one! Absolutely love it. I use it for my Spanish students. We perform for parents with songs from this CD. The songs are fun and the kids learn so much. They always ask me to play the songs over. I wish they would come out with another Spanish CD. Maria and Luis from Sesame Street have wonderful voices! I wanted to write this review b/c my purchase was based on an online review. This is the best CD! We are trying to learn and teach our 3 boys (3, 2 & 2) Spanish. I listen to Fiesta Songs in the van even when they aren't with me! We've learned so many useful words and phrases, and the music is great. Me gusta!! Way too much fun to be only for kids!!! #3) I love this CD. Yes...it's FUN...and sometimes way too sickenly cute. Elmo singing spanish? Classics like "The people in your neighborhood". I tell my friends that I'm trying to learn spanish...when in reality this CD is just as fun to listen to as just about anythign you'll find on the radio. Super sticky sweet, but not stupid and not condescending. Oh, and if you *do* have kids....I'm sure it's even more fun. Worth it....if you came to this page you're probably considering it...so get on with it...buy it already! My 2-year-old daughter absolutely loves this CD. Everytime we get in the car, she says, "Bert & Ernie" and then sings along with the lyrics. I admit, I like it too. The reason I'm writing this review, though, is to let parents know that it has one part where the characters call Bert's game "Dumb." I'm sure my child will learn this word eventually, but I'd rather she didn't learn it from Bert & Ernie. I'm not sure what Sesame street people were thinking when writing this script. It's disappointing since the rest of the CD is so great. 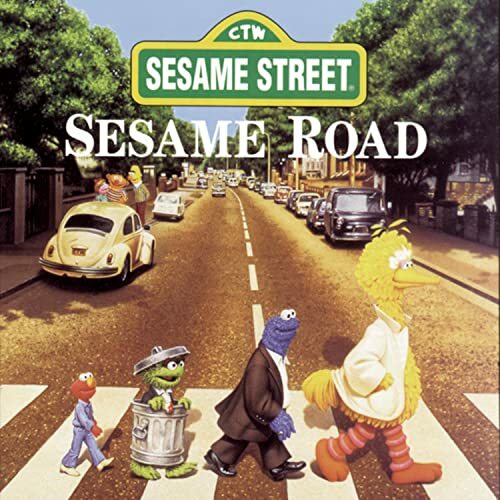 Ernie and Bert have some of the best music on Sesame Street, and this album is the place to find it. It not only includes the standards "Rubber Duckie" and "Doin the Pidgeon," but there are some terrific songs that were new to me: an incredible lullaby incorporating deep breathing; "Up Goes the Castle" and a fun song about asking for help; "Lonesome Joan." 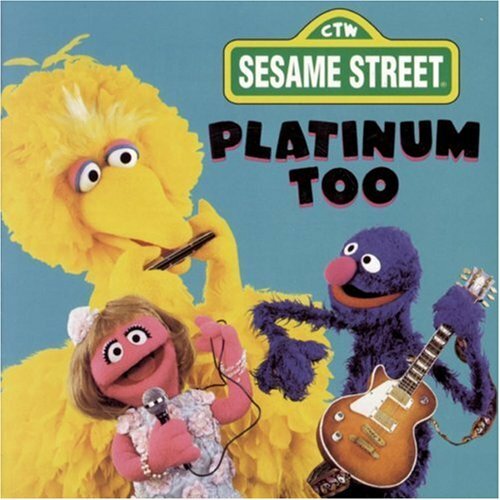 This CD should have a place in any Sesame Street fan's collection, be they 2 feet or 7 feet tall. Great for child AND parent! My son has 4 Sesame Street albums; I'm a little sick of most of them by now, with the notable exception of Bert & Ernie's Greatest Hits. At 30 now, I grew up with many of these songs ("Rubber Duckie," "Imagination," and "Doin' the Pigeon," anyone?) and remember them with fondness. Today, I have a new appreciation for the clever lyrics and catchy tunes. I also love the newer songs, along with Bert's hysterical commentary on the track "Dance Myself to Sleep." ("Where did the sheep get tap shoes?") As counterpoint to the funny, zippy songs, there are some sweet and lovely slower songs such as "I Don't Want to Live on the Moon" and "Up Goes the Castle." All in all, it's an album I can listen to repeatedly. My 22-month-old son can sing along with most of the tunes, and often asks to "listen Ewnie." With an album like this, I'm happy to listen Ewnie, too. I love it! I grew up listening to Ernie and Bert; and I must say that the opener, "Rubber Duckie" by Ernie is certainly a blast from the past! I also like "Clink Clank" and "The National Association of 'W' Lovers" by Bert, his opening lines to "Pat Pat Patty Pat", and "But I Like You" by Ernie and Bert -- but most of all, I find "Imagination" by Ernie and friends to be an especially pretty song. Grown-up Sesame Street fans, get this Bert and Ernie CD -- I'm sure you'll love it, too! My kids favorite, without a doubt! Great for Kids and Parents!! As a music teacher and the mother of a toddler, I love this collection of alphabet songs!! Not only are the songs well written and entertaining, but my child is learning from them as well. My 21 month old has been listening to this CD for several months and still asks for it first thing in the morning and before bed time at night. This CD is a must for parents of toddlers!! I learned from these songs, too! 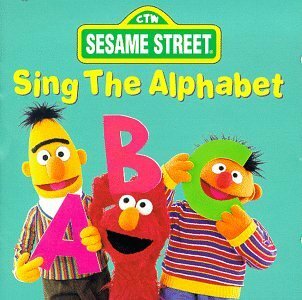 I am a college student whose parents played these exact same Sesame Street Alphabet Songs ( I mean they haven't even been re-recorded!) for me on a record player in the early 1980s. 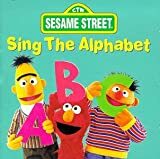 I can still remember most of the words to the songs, and believe me, as a child learning the alphabet, I sure enjoyed this version much more than the traditional "next time won't you sing with me..." alphabet song. My three year old loves this. I love things that my kids think are fun when they happen to be educational. That's this CD. We have it on in the car all the time. I have a singing lesson CD "Voice Lessons To Go" by Vaccarino that I put on for my older daughter and myself- (you should hear the 3 year old try to keep up with that) She's actually learning her abc's and her Do Re Mi's. Should we try Spanish tapes next??? I've been looking all over for these songs!! My brother had these songs on 45's when he was maybe 3 years old (late 70s) and I can remember singing along with many of these songs. Definitely a great find!! I hope my kids will enjoy these as much as I did as a child. There are lots of music albums for kids available now, but I think one of the most timeless records is In Harmony. It shows the true talents of old favorites, such as the Taylor brothers and Carly Simon. I've listened to this record for as long as I remember, and even though I'm theoretically at the threshold of being an adult, I still listen to it when I can't sleep. This album is one of the reasons that I'm going to pursue a career in music. It's definately a good investment for your kids--something positive for once. My sister and I used to sing and play along with this album in 1980 - it is still a favorite inside joke for us. I can't wait to get this CD for her this Christmas and my own son. This is a very unique, diverse CD - with lots of fun songs and beautiful music. It is sure to be a treasure for all families - no matter what the age. Buy it now!!! i remember my older sister giving me this album when i was about three or four years old...a couple years after it came out and it has stayed with me ever since..i think we can all relate to the songs young or old..i remember singing along with linda ronstadt to i want a horse...or dancing with my sister to bluebery pie..these are great singers...this isnt barney or teletubbies...i wish more kids music was like this album..and i dont care if im 5, 25 or 65...ill cherish this album for the rest of my life..so that my children can experience it as well.. I haven't even gotten the CD yet. I just babysat a nephew, and sang him to sleep with a song I remembered from this album many years ago. Since then I have been on a quest to get the CD, and cannot wait to receive it!!! It may not be for a young child, but it is for any child to share with his/her parent!! My son loves to sing along with this in the car. We alternate between this and Bear in the Big Blue House. I will definitely buy more Sesame Street CDs. My three year old is crazy about Elmo. So many children's songs are annoying, Elmo is a godsend. I can listen to it over and over as we drive to & from school without pulling my hair out. Go Elmo! GREAT CD! Addictive catchy tunes! My 21 month old daughter LOVES, LOVES, LOVES this CD! We play it in the car. When we are inside, she keeps saying "DD" and pointing to the car. I even love this music. When I dropped her off at her playgroup this morning, we had the CD playing, then after I was alone in the car, I kept it on for me to listen to! My daughter is 5 mos. 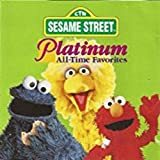 old and loves Elmo, but this cd didn't show him enough. She wasn't interested in the other characters as much and got bored very easily. Happy Kid in the car! Our daughter loves this video tape, so I thought I would get her the CD to listen to in the car and she loves it. An 18 month old stopper! Catchy tunes, but not perfect. While there are several very catchy songs on this album (Steve Tyler's cover of Oscar's "I Love Trash" song is inspired! ), there are a couple of tracks we completely skip... one I don't particularly like, and one that my daughter doesn't like and I don't like well enough to convince her otherwise. So we only listen to 9 out of 11 tracks, which makes for a very short album. And when it is the only "Elmo Songs" CD in the car, it tends to repeat a lot faster than other albums, so I got tired of it after a while. OTOH, the remaining songs are quite catchy... I have found myself singing bits of the last track, "Songs" while surrounded by adults, and "Mambo I, I, I" tends to float up from my subconscious frequently (and it is to this album's credit that aside from a bit of embarassment, I don't mind at all). I also love Jimmy Buffet's "Caribbean Amphibian," but then, I have a soft spot for JB. 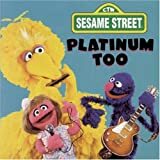 As another review mentions, this is not an Elmo-heavy album, but the songs are still good and my 2 1/2 year old daughter enjoys it anyway. I first heard it in her classroom at daycare, and decided I had to get it. I bought this CD expecting songs we could sing along to. I had never seen the video. When I got it home, I didn't like it too much, but then it grew on me. Now I can't decide which track I like best, and while I thought the En Vogue song was boring at first, I can tolerate it now. I still don't care for the Celine Dion cut. My daughter took to the CD immediately when she was 11 months old. Her favorite is the Elmo song at the end, but she dances to "Mambo", "I Love Trash", "Zig Zag Dance", and she knows the words to all of the songs and sings along (she's 17 months old now). I disagree with the review I saw here that this is not intellectually stimulating for a child. It is. It exposes them to many different styles of popular music, all with good messages. I just think that the music is more sophisticated than many people expect on a children's album. The orchestrations are not dumbed-down, and there is a lot for adults and children to listen to. Why do people think that children need watered-down arrangements all the time? A little variety is healthy. My kids loved the video so we had to get the CD. It's just as wonderful! They love it and so do we, the songs are fun and don't get annoying after listening to them over and over. A lot of fun music. My daughter likes everything on this, except for "I Love Trash". One of the first things she actually sang was "Mambo, mambo, mambo, I, I, I". We prefer this over the video. 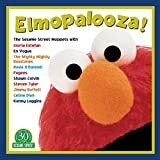 As other reviews point out, this CD doesn't have a lot of Elmo, despite the title, and it isn't especially long either. Captain vegetable encourages kids to eat more vegetables. Just teach them the words and watch what happens when you give them carrots and celery...totally magic. Sing the song to them and watch them complete the verses while they eat healthy vegetables. Bravo sesame street and captain vegetable! What a great way to keep kids humming during an 8-hour car trip! And the songs are clever enough to involve adults, too. My personal favorite is "Monster in the Mirror." Very funny and only slightly educational! Our favorite song is Cookie Monster's 10 Cookies. My 8 month old seems to enjoy this CD. We just wish it was longer! Makes the car rides something to look forward to. We've had a lot of fun with this. I put it on for the kids and they have so much fun trying to immitate all the voices of the different characters. Then we put on a singing lesson CD, "Voice Lessons To Go" by Vaccarino for me and my oldest daughter. The younger one tries to sing a long with us in her high voice. I think we will get some Spanish Cds for the Car in addition for our next trip. Some of the long roads around us are just desert and very boring. So we have to fill them creatively! This is just a great CD. My daughter checks it out at the library over and over again for her 2 year old daughter, who absolutely loves it. All the tracks are fun and the "Are we there yet" track is too funny. I'm purchasing the CD for our next long distance car trip with my grandson and I can't wait to play the "Are we there yet" track the first time he asks "are we there yet?" and each time after that he asks. It's going to be a hilarious trip! I bought this cd after reading several good reviews. While my daughter loves the cd (she sometimes wants track 4 over and over and over again), I am only rating this with 4 stars. This is because I find the songs with the Count to be a little annoying (there are 3 different tracks, but it's the same song). Also, the "Are we there yet?" song is annoying too, as Elmo's voice is whiny and screeching. Not something I'd want to listen to on a long car ride. Other than those grievances of mine, the cd is fun and my daughter loves it. It is played in our car often. This is a delightful cd. All the songs are catchy and upbeat. My four and three year old sing the songs throughout the day after listening to it. It will help the time pass when traveling or provide great dancing music when at home. I highly recommend this cd. Enjoy it - we do. We purchased this CD for our son's first birthday. He LOVES it! He has to go to sleep every night with this CD playing in the background, and even wants to play with and carry around the CD case! We are big "Cookie Monster" fans at this house and were excited to see that there was even something like this available. And I swear that I remember some of the songs from when I was little! 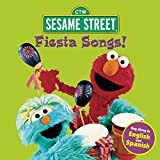 Cute lyrics; fun music; Cookie sings with several other familiar Sesame Street characters; children old and young will love this one! 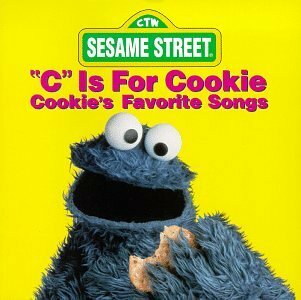 This album is great, but it's not the same as the one I had as a child, which was also called C is for Cookie, but had different tracks! The cover was the same, I think. It had Casey McPhee and C is for Cookie and Bakes a Cake and Circles, like this newer one, but I don't remember any of the others being on it. It also had a song called "Cookie Monster's 3 Wishes", with a genie in the toothpaste tube. So as great as it is to find Casey, and as much as my toddler will love this one, personally, I'd love to hear if the older version was still available anywhere... hdunham@sympatico.ca. My 2 1/2 year old son LOVES this tape...has learned the songs and it really helps him burn energy & participate in the music. Creative lyrics...very cute topics. Very talented people contributed to this music and it shows. Any young child or adult will enjoy!